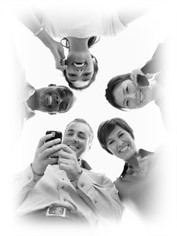 Our Enterprise Web SMS solution suite provides all the enterprise SMS communication needs. It is a straightforward but powerful web based business tool for sending and receiving SMS messages. Send Bulk SMS simply by uploading files.You can also broadcast SMS to multiple recipients or groups in the address book. This Enterprise SMS solution can be used for SMS marketing campaigns, staff/customer notifications, disaster notifications or any other Enterprise SMS comunication needs.